Do Counselor in Training Programs Look Good on a College Application? Today, many teenagers face increasing pressure to go to college, and spend much more time that their predecessors at internships, extra tutoring, or intensive athletic or academic programs. Summer vacation is no longer a time to relax, reboot, and recharge between school years, but instead a chance to get ahead, and fit in more resume boosters. Camp Quinebarge’s traditional Counselor in Training (CIT) program for sixteen-year-olds is a fun, fulfilling program that puts the focus on leadership training and skill-building, and is a unique addition to your child’s college application or resume. Not only does our Counselor in Training Program look good on a college application, but it is a chance for teenagers to have fun, develop leadership and other life skills, and form everlasting friendships. 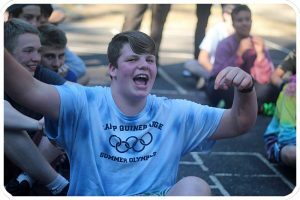 Even more, the responsibility and partial independence that our CITs are given can prepare participants for college life, in a way that a summer job or internship, and living at home, does not. 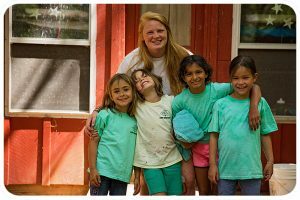 Cabin and Activity Support – Counselors in Training are helpers in cabins, on trips, and during activities. They are apprentices under our adult staff, and get the chance to take to the lead with the support and supervision of older counselors. Leadership Development – Each day, our Counselors in Training attend special ‘leadership development sessions’, learning about working with children effectively, positive leadership, and how to work as a team. Rather than relying on lectures, we use an experiential approach to learning, with group discussions and activities. Legacy Projects – Each summer, Counselors in Training give back to Quinebarge by designing and executing a Legacy Project. Past projects have included our CIT Garden and Gaga Pit. The best part of these projects is that they are entirely of our CIT’s creation. Using teamwork, decision-making, and communication skills, they brainstorm, plan, and complete their projects with the supervision of a counselor. While the average summer job can be a great experience, most are simply not fun. The things that these jobs lack – fun, true growth, and friendship – are the heart and soul of life at Quinebarge. CITs don’t just spend their days learning from and mentoring under counselors. 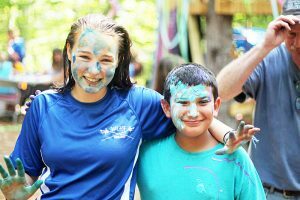 They form close friendships with their fellow CITs, bond with children of all ages, and have a ton of fun as a group, whether at on-camp activities or special CIT trips. To put it simply, a summer as a Camp Quinebarge CIT prepares teenagers for the transition to college and adulthood, while allowing them to be kids once more.